Joe began running competitively in sixth grade. He performed in Junior Olympics for three years, qualifying for the National JO Champions for two consecutive years. He continued competitive racing until 2016 when he decided he would try his hand at coaching. 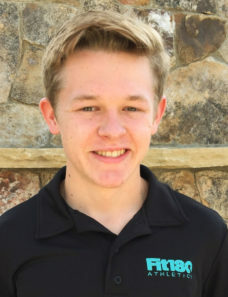 Joe assistant coaches for Cuthbertson Middle School and more recently joined Fit180 as an assistant coach for the 2016 Junior Olympics program. Joe works as a summer camp counselor for middle school aged kids and loves to inspire kids to run while making sure they enjoy it at the same time. He is a great example and mentor that has a powerful connection with young athletes.